Reduces irritation and restores skin's balance while soothing. 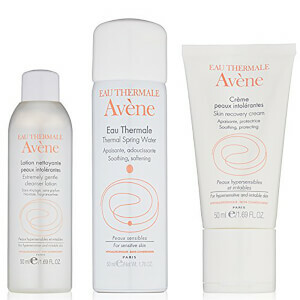 Very rich in Avene Thermal Spring Water it protects, moisturizes and nourishes even the most sensitive skin. Based on the completely sterile manufacturing process of D.E.F.I., which makes it 100% sterile. The Skin Recovery Rich formula is preservative, paraben, and fragrance free. Apply morning/evening to face and neck. Gently squeeze tube to obtain the dose needed. After use and before closing, remove any excess product around the tube opening. 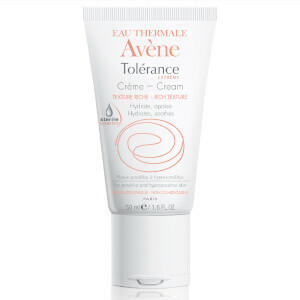 Avene Thermal Spring Water, Mineral Oil, Glycerin, Squalane, Dimethicone, Glyceryl Stearate, Behenyl Alcohol, Serine BHT, Butyrospermum Parkii (Shea) Butter, Carbomer, Ozokerite, Tetrasodium EDTA, Triethanolamine, Water, Xanthan Gum. After so many cream and disappointment, i didn't wait for anything good... But now i am really happy i bought the product. 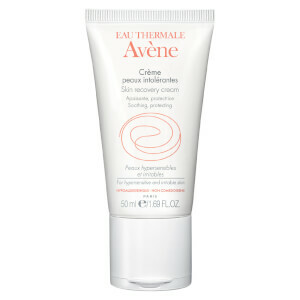 It's working just perfectly and calm and moisturize my sensitive skin. Perfect for winter. I will buy again.